The past six weeks Katja and I have spent about 40 hours scouting routes, cleaning routes, climbing together, and figuring out the logistics for a fun link-up. 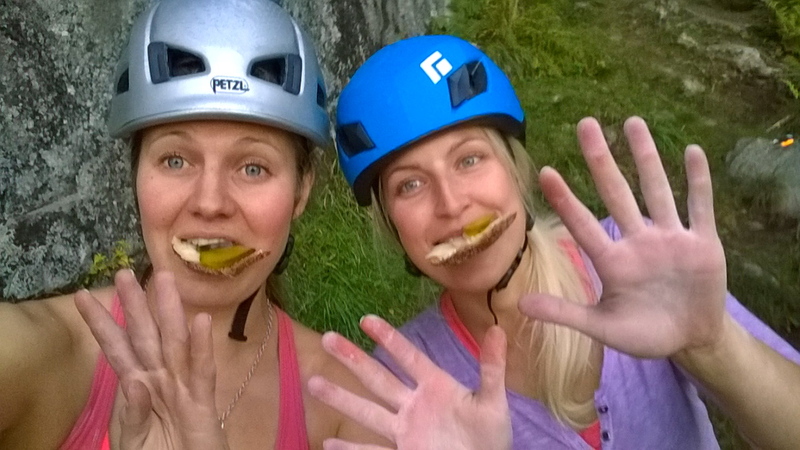 Our goal was to climb 30 routes each in one push around our hometown Tampere. To make it easier we agreed that we would only lead routes we’ve climbed before. Hola, We are Emu and Katja! We want to send big. I had spent several days climbing in the Tampere area the month before so I decided my goal was to try leading everything. Katja had a list of routes she wanted to lead and the rest she would toprope. Katja cheerfully getting ready to send Masterbation at Rämövuori. Saving time is easy if you figure out the logistics beforehand. We saved time by bringing two ropes and climbing at least two routes in a row. 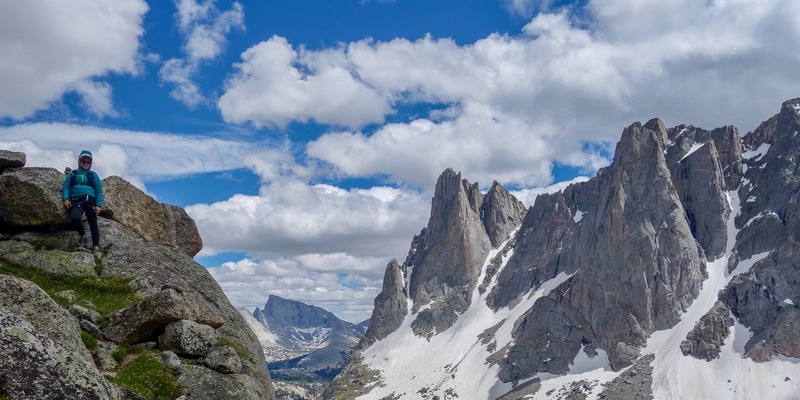 The time spent transitioning from a climber to a belayer was cut in half. Better yet, if the climbing is really easy like at Rämö 2 take turns in climbing the whole wall. 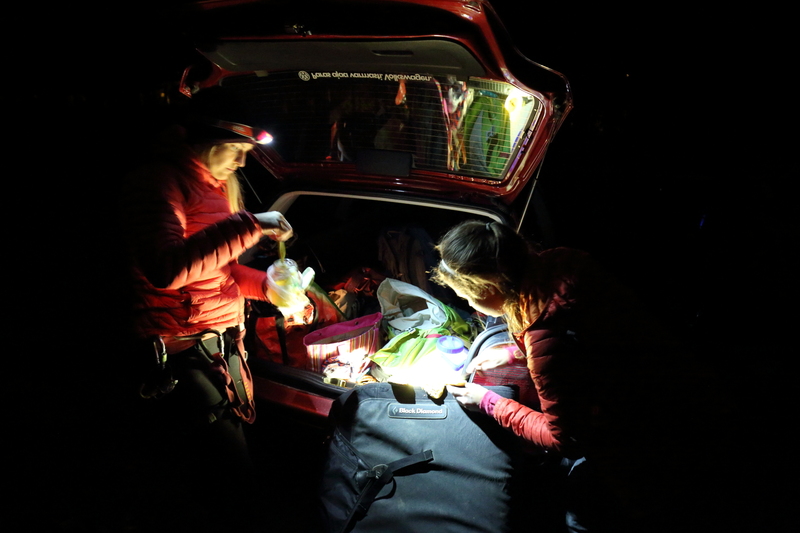 We climbed the hardest routes in the daylight and the easiest in the dark with a few exceptions (Tessun kuuraketti and Jorma). The small things matter too. Katja learned to pee without taking her harness off which saves about five minutes. The boinky straps in the back of the harness allow you to take your pants down and pee quickly and safely without opening the straps or removing the harness. 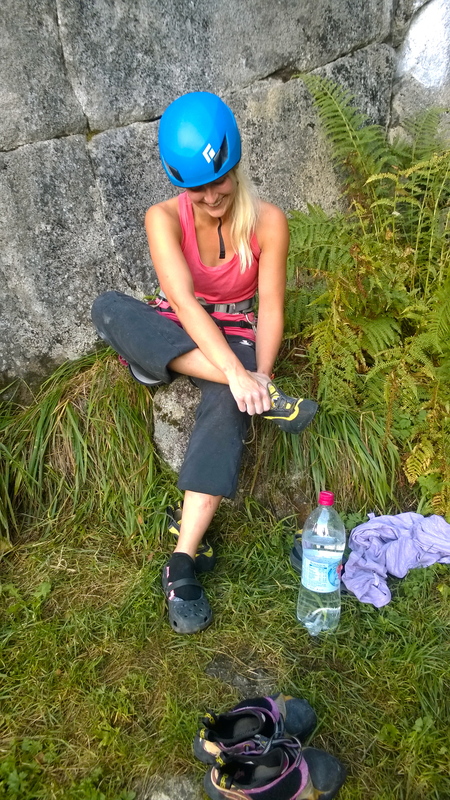 Ladies, pee safe on multipitch climbs! We didn’t run or hurry. We were efficient. 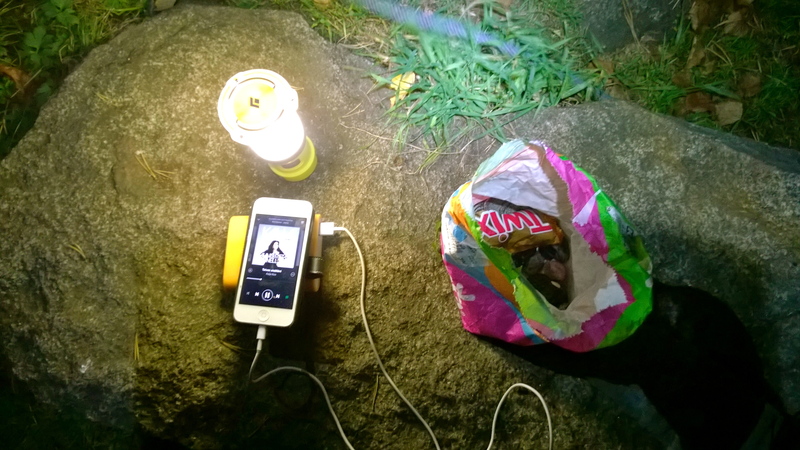 “Which song do you want to listen to next Katja?” Efficient is relative. The highlight of the day was actually the night. We bailed from Melo because it was pouring rain. At Mustavuori we had a light drizzle. 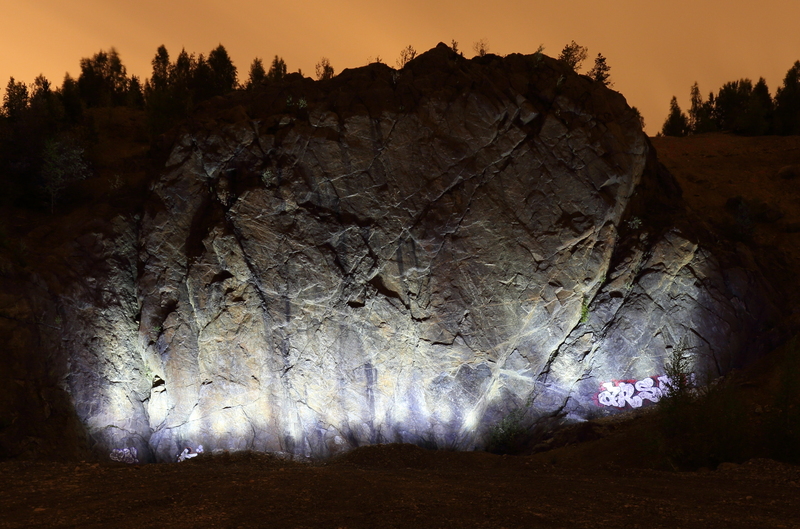 Jere asked if he could come and take photos of us climbing in the dark. Absolutely! Thank you for sharing the photos Jere. After it got dark we had eight routes to go. We knew we have until 4am until it starts raining so we decided to take it easy. 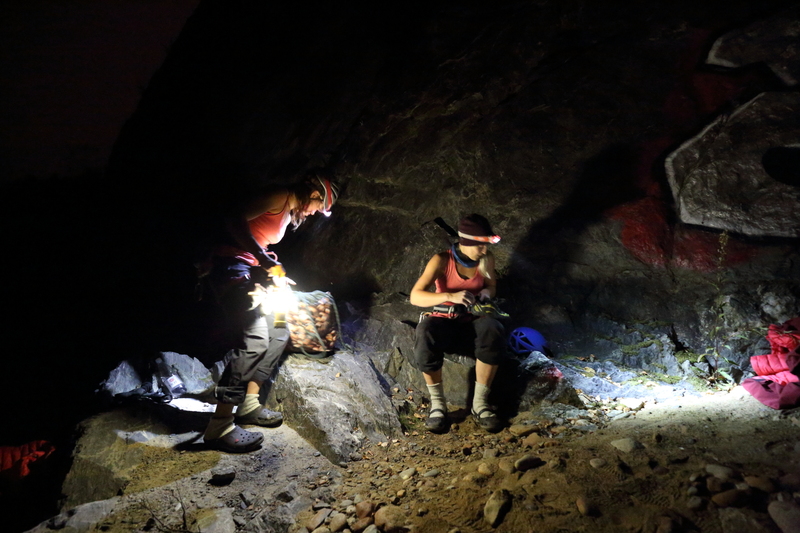 It took us 45 minutes to climb six routes at Ketara in the daylight and two hours to climb three routes at Mustavuori in the dark. 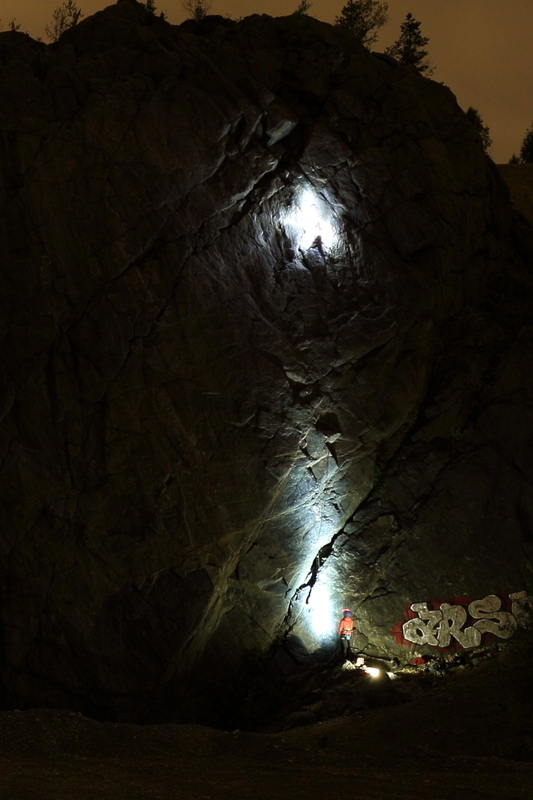 Climbing in the dark is usually avoided at all cost but this time it was exciting and fun. 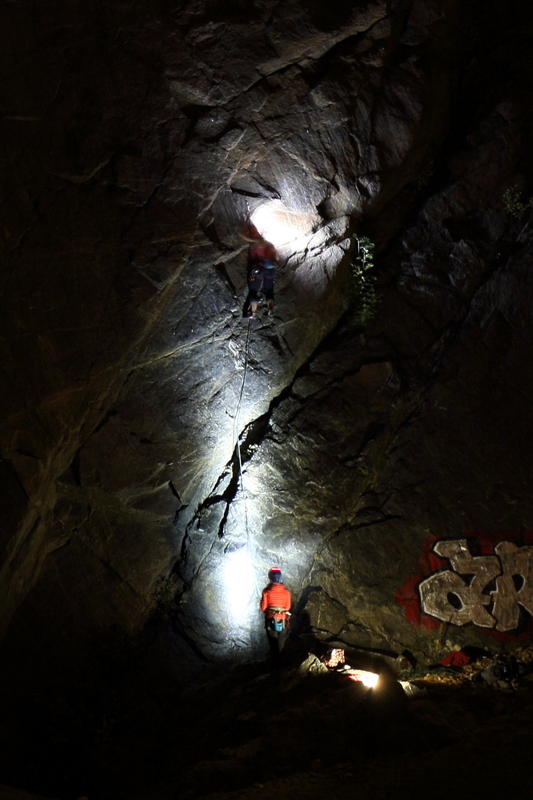 The dark and wet climbing continued at Viitapohja between 1am and 3am. Don’t trust the weather forecast. 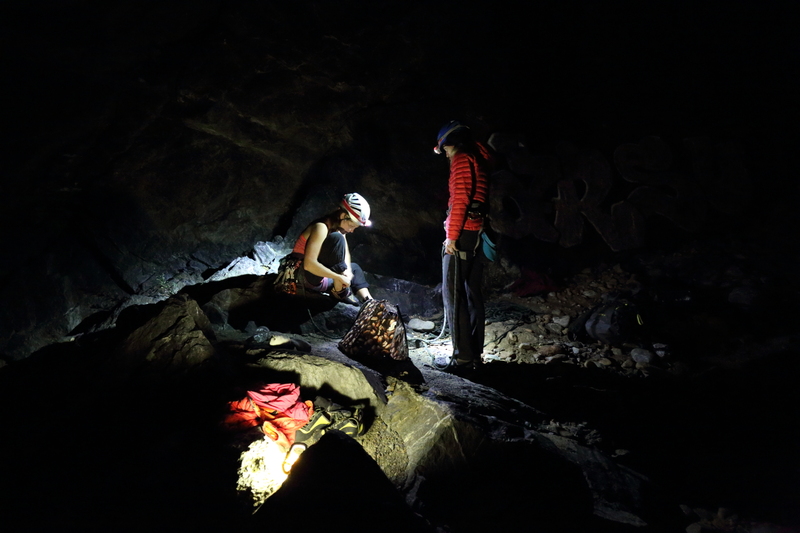 The first time I felt tired was when we got out of the warm car, hiked into the dark, chilly, rainy forest, and started climbing the 26th route. We got wet and our stuff got soaking wet. Fortunately the climbing is steep so the routes stayed relatively dry. Nätti Jussi was our 30th route. Neither one of us had climbed it before. At the top we laughed, hugged, and did all sorts of weird fist pump/high five routines. We sent our link-up! On our way back to the car I fell into the trench by the road. Thank you for the inspiring, fun day Katja. And thank you to all our friends who supported and cheered for us! 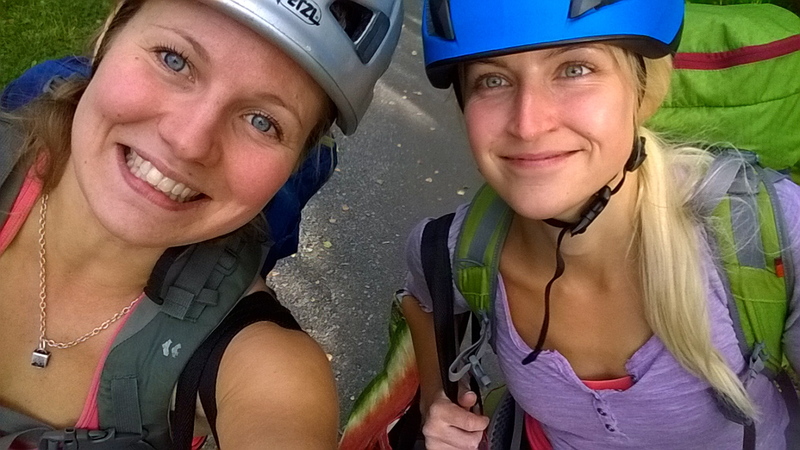 Emu and Katja’s trip report from Tampere (by night) link-up. It takes about 14 hours to complete from TK to TK by car. go girls! linkuppaus on parasta. Moi! 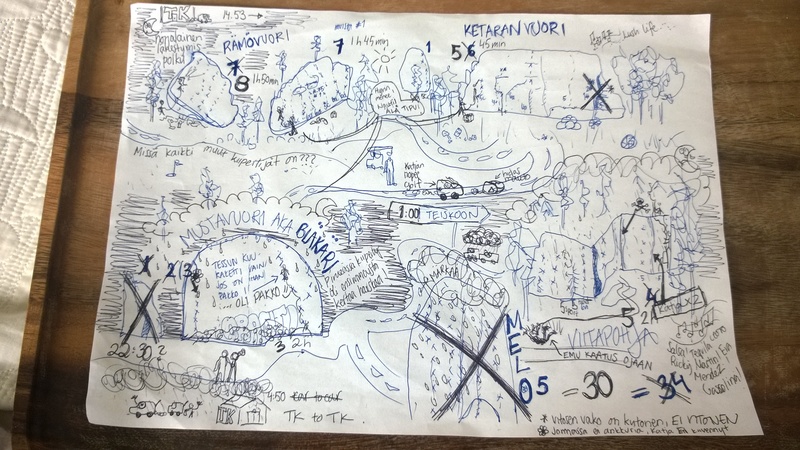 Kiva kuulla, että link-up innoitti kiipeilemään Tampereen alueella. Huippua! 🙂 Mukavaa loppusyksyä.